I'm offering a number of specials for 2019... inquire for more info!! Kick back and relax at beautiful Napili Shores! You can do as much or as little as you want! Lounge poolside, kick back in the jacuzzi, or lay out on the golden sandy beach at Napili Bay and let the stress of daily life just melt away. Or maybe that stress needs to be chased off! At Napili Shores you have immediate access to body surfing, tide pools and snorkeling with Hawaii's famous Green Sea Turtles. Nearby you can take a cruise from Lahaina, golf in nearby Ka'anapali or Kapalua, hike in the mountains and shop Whaler's Village. The condo sleeps 4 very comfortably, has a fully furnished kitchen, and a boasts a lanai with a beautiful view of the ocean. Come to Napili Shores and watch your stress get chased away! I live and work in Los Angeles, but love to get away to Maui as often as I can. And I love to share my place with others. A little bit a paradise!! 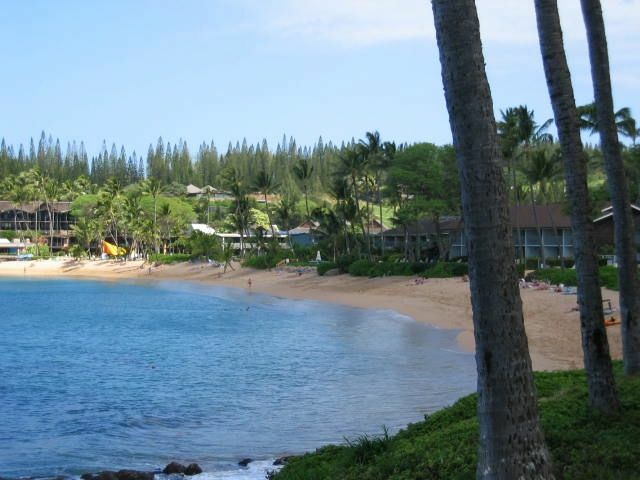 Napili Shores is just the best place to be on Maui! You can snorkel right off the property with Maui's beautiful Green Sea Turtles! Napili Beach is steps away and awesome! Sit on the lanai in the garden and look out towards the ocean. Beach towels as well as bath towels and bed linens provided. There is a shared laundry area a short walk from the condo. Easy Access. There are two pools on the property and one is located steps from the condo! The kitchen features a toaster, blender, small food processor and a coffee grinder. We’ve stayed many times now at Napili Shores and we love it every time. It’s by far one of our favorite vacation spots. The room was nice. It had everything we needed to include beach chairs and boogie boards. I liked that there were plenty of bath towels as well as beach towels. We also liked having a code for the door so that we didn’t have to keep track of a key. Paul was extremely gracious and willing to refund us because of the possible hurricane. Fortunately it didn't come to that! Kid at loved the pool, boogie boards, snorkeling right at the bay, tidepooling. The gazebo restaurant brunch. It was a perfect spot.